If you believe that your child has learned to “tune you out,” then you need to break the habit. Let him know that both of you have developed a bad habit and you want to break it! Tell your child that you will make a request just one time, and you will expect him to listen and follow directions. Then, stick to your guns! Breaking bad habits is not easy and it takes real commitment and energy. But it will be well worth the effort in the long run. The best consequences are “natural consequences” because they occur without having to do anything at all. For example, if you call your child to the dinner table and he does not come, he will be left eating a cold meal alone at a later time. Within the classroom situation, if a child is not attending to an instruction, then ignoring the child when they come and ask for clarification may reinforce the notion of careful listening behaviour. In many cases, it is up to the parents and educators to decide on and agree on a consequence. Consequences need to be relevant, reasonable and doable. You can teach your child to listen by having good listening skills yourself. Do not Interrupt – when someone says something that we disagree with, we love to interrupt and even go the extra step further by proving them wrong. Hearing what your child says improves their listening skills by encouraging them to not interrupt. Be Together – just by interacting with your child and building a relationship, they are spending more time with you. The more time you have in their lives, the more influential you become, and the more you interact and talk to them, the more your effective listening skills run-over onto your child. Honesty – just like adults, children can see when you are not listening. You need to be attentive and honest in your listening by not tricking them into thinking that you are listening. Have Patience – you cannot expect your child to be patient and attentively listen to you when you cannot be patient yourself. Understand that children take longer than adults to say what they want. If you don’t have the time to devote your full attention to your child, then tell him, and set aside time later on. Simon Says – Your child must follow your directions, but only when you begin the sentence with the words “Simon says.” Keep your child moving and the directions coming quickly to make the game exciting. I Spy – Give your child clues about something within viewing range. See how quickly he can guess what you are spying. Twenty Questions – Think of a person, place or thing and give your child up to 20 chances to ask questions that will help him guess the answer. Red Light, Green Light – One or more children line up at the back of an open space. The “policeman” calls out the words “red light” or “green light” with his back turned to the group. The group can only move forward when the policeman calls “green light” and must stop when they hear “red light.” The policeman turns around when he says “red light” and any child caught still moving is out. The first to follow the directions and reach the policeman becomes the new policemen. Environmental Noises – Commercial games with common environmental sounds are available and I am sure there must be an “#app” available. Otherwise, listening to the “real thing” can be fun. See who can identify the most sounds. Broken Telephone – A whispered message is passed through a group until the last person last player announces the message to the entire group. Listening For Absurdities encourages children to listen for details. For example I ate the cold-drink through a straw. Sentences can increase in length and complexity. 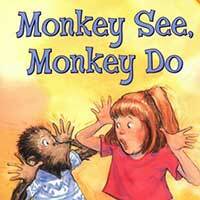 Reading to your child and discussing what you have read and predicting what might happen. Making a few ‘purposeful errors” will give you an indication of how actively your child is listening. For example you could change the characters name in the story. Audiobooks – These can be downloaded, purchased or rented through listener libraries. Watch TV with your child (Yes I said it :-)). This means that you have to watch one of the programmes that your child enjoys but not cartoon network. While you’re watching, pretend that you didn’t hear something and ask your child to tell you what the character said. 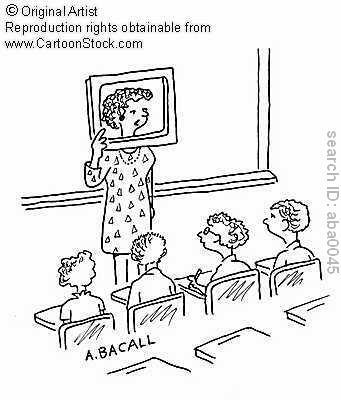 Poor listening skills are a major challenge in the classroom as well as in the home. Listening skills are the cornerstone for developing interpersonal relationships and yet it is one of the most neglected language skills in teaching environments. Many children receive as much as half of their educational programming through listening but have little instruction on how to listen effectively. Hopefully we can break the cycle.